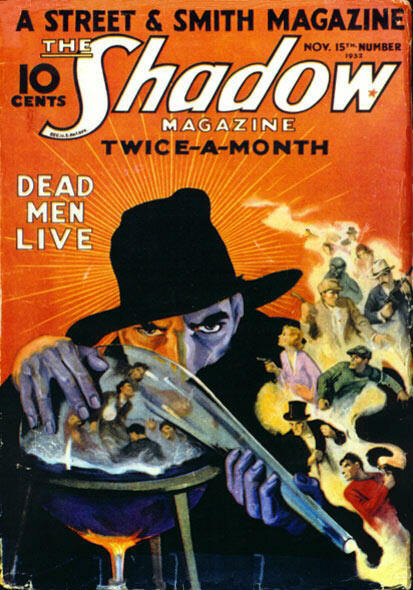 One-off companion magazine to Screen Cowboy Stories and Screen Romances. 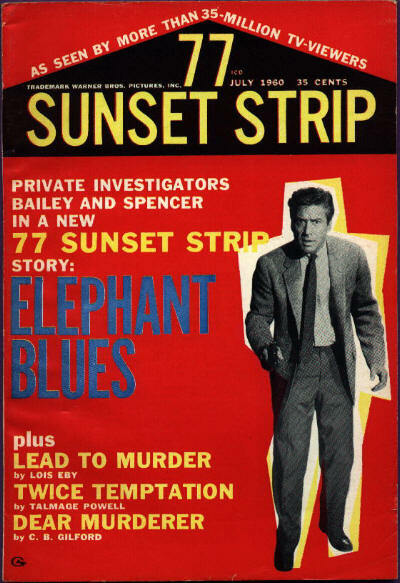 Published shortly after the demise of a very similar magazine, Tightrope, from the same publisher, 77 Sunset Strip also hoped to gain from the publicity of a popular television series of the same name. 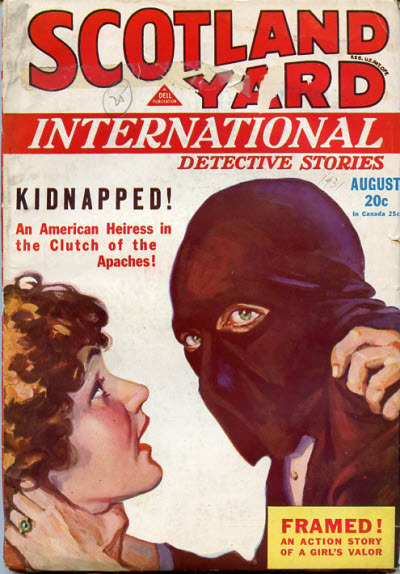 The pulp size and format was an anachronism and, despite the better-than-average run of contemporary crime-adventure stories, the magazine folded after a single issue. 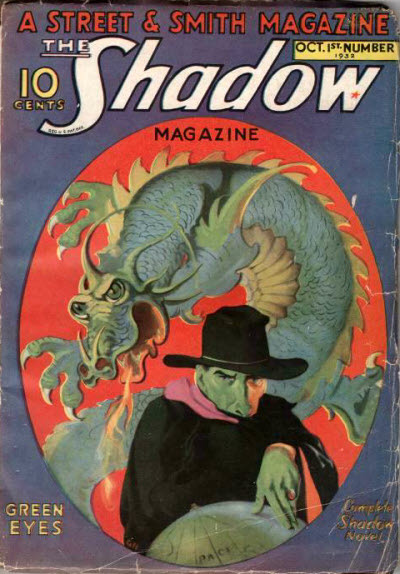 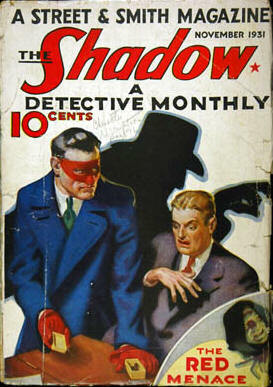 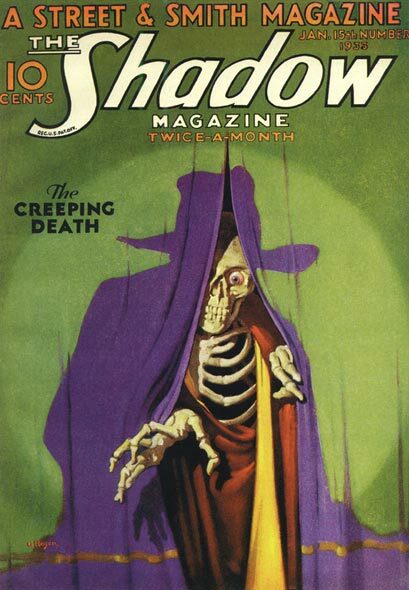 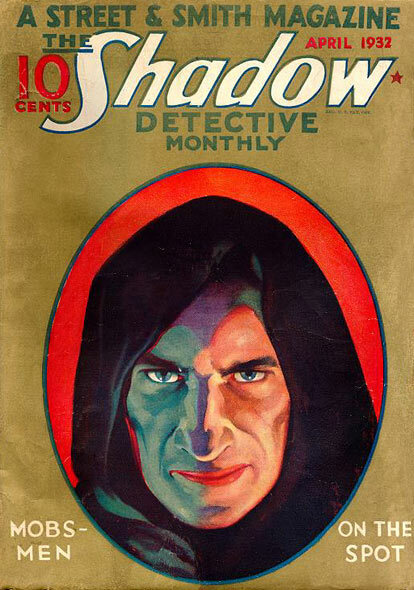 The Shadow Magazine was the first, and arguably the best, of the character hero pulp magazines. 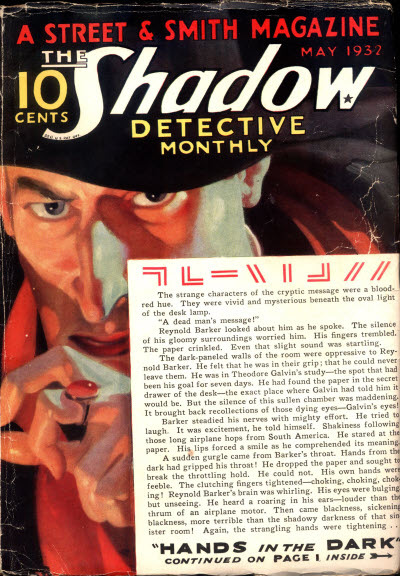 Launched in 1931 it soon established a monthly schedule and then, in 1932, doubled that to a twice-monthly schedule, which it maintained for over 10 years, before dropping back to a monthly schedule in 1943. 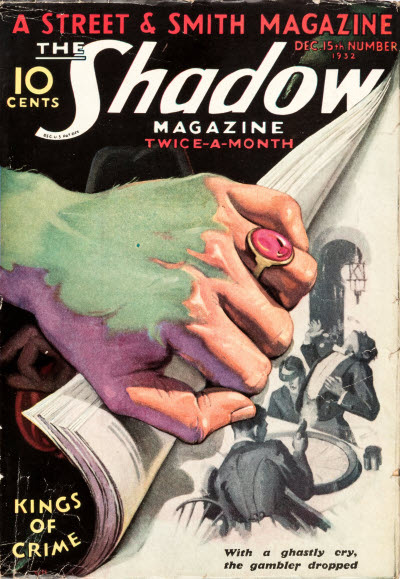 This marked the beginning of the end with the schedule dropping to bimonthly in 1947 and then to quarterly in 1948, before the magazine finally expired in Summer 1949. 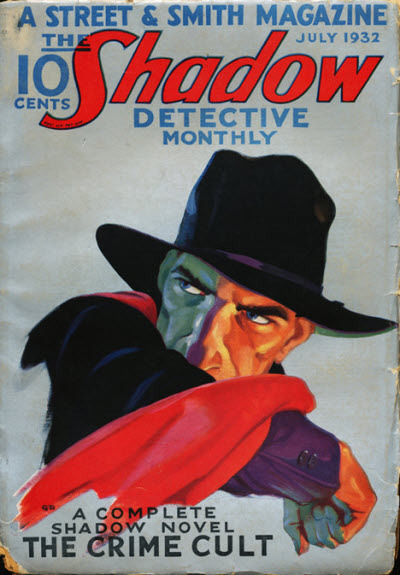 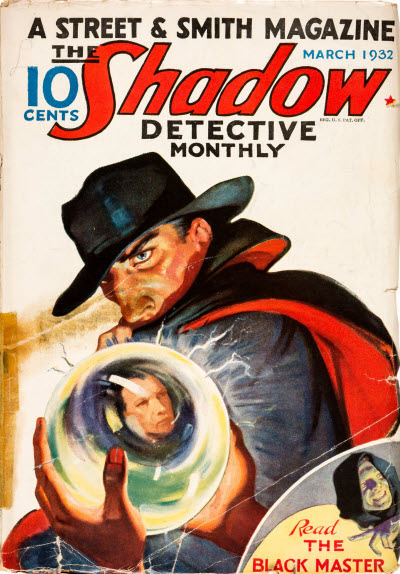 In all, 325 issues appeared, each containing a lead novel featuring Kent Allard, The Shadow, as well as a small number of short stories and other features. 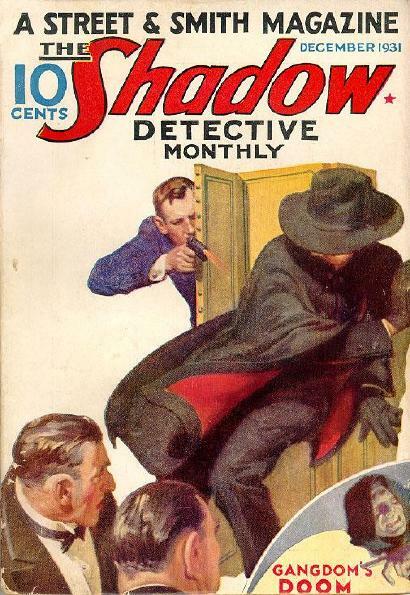 Most of the novels were written by Walter B. Gibson (under the byline Maxwell Grant) although a small number were written by Lester Dent, Bruce Elliott and Theodore Tinsley (all under the Grant byline). 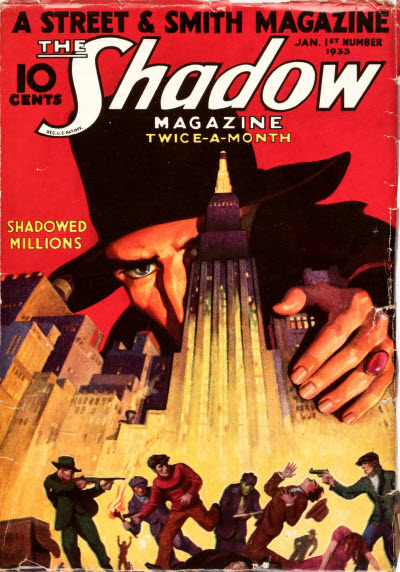 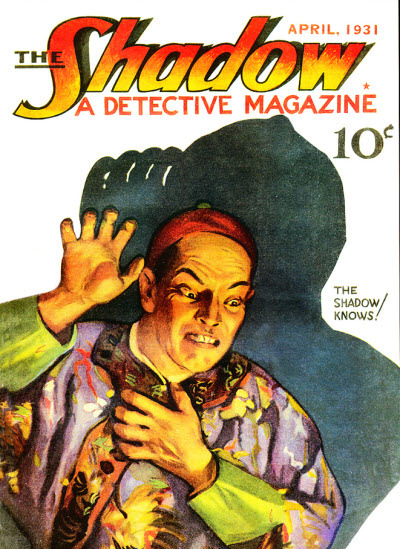 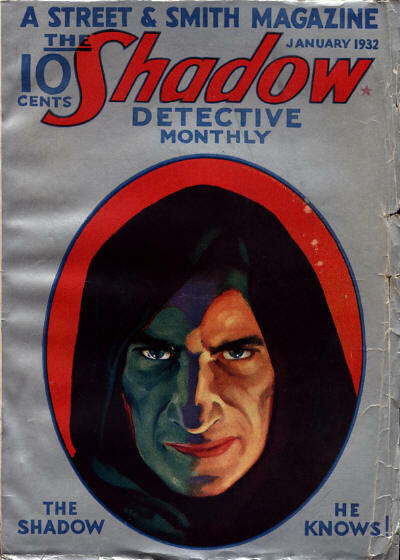 2 · The Living Shadow [Kent Allard (The Shadow)] · Maxwell Grant (by Walter B. Gibson) · n.
2 · The Eyes of the Shadow [Kent Allard (The Shadow)] · Maxwell Grant (by Walter B. Gibson) · n.
Title changed from The Shadow, a Detective Magazine. 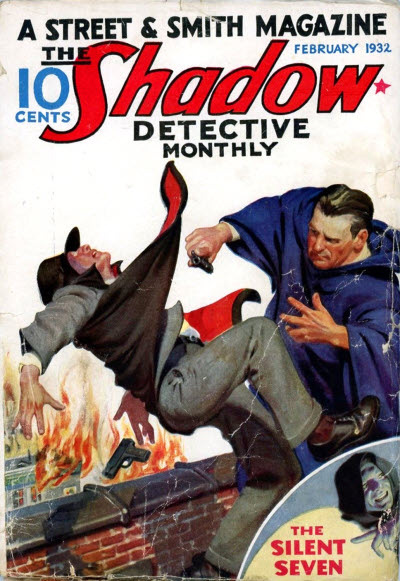 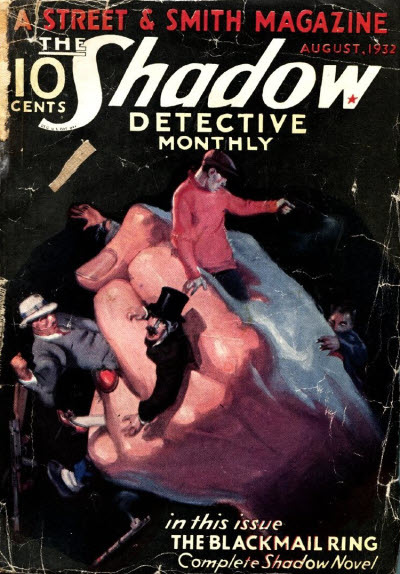 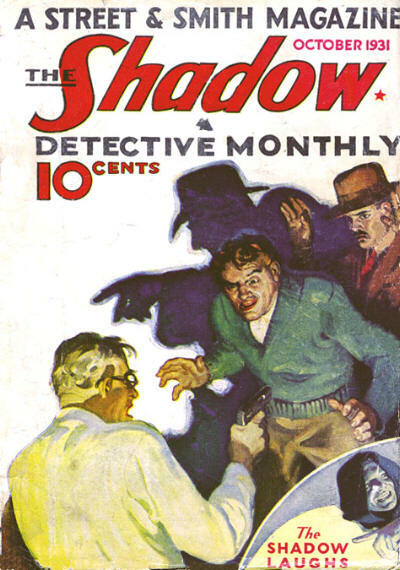 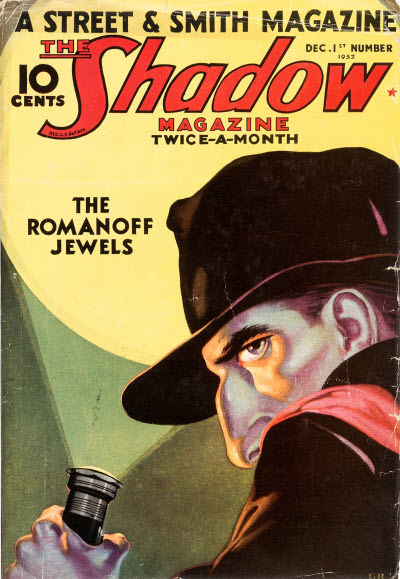 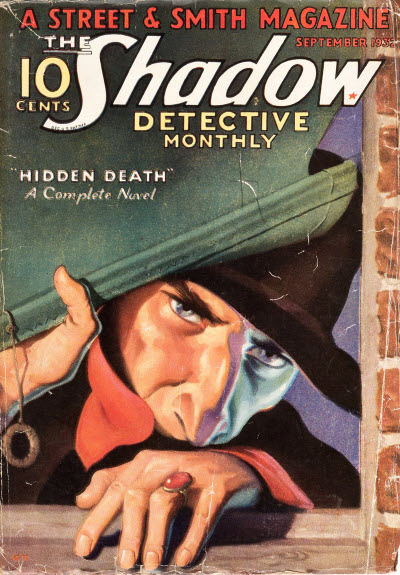 2 · The Shadow Laughs [Kent Allard (The Shadow)] · Maxwell Grant (by Walter B. Gibson) · n.
1 · The Red Menace [Kent Allard (The Shadow)] · Maxwell Grant (by Walter B. Gibson) · n.
Title changed from The Shadow, a Detective Monthly. 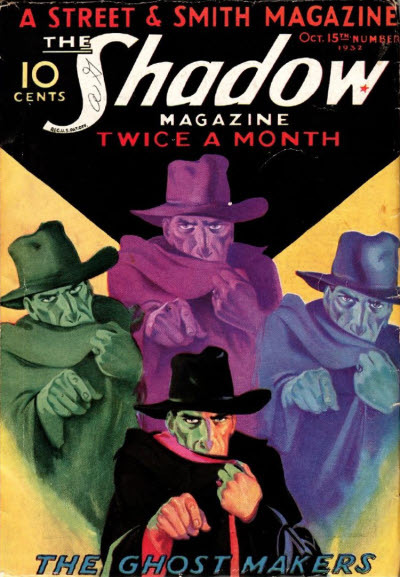 1 · Gangdoms Doom [Kent Allard (The Shadow)] · Maxwell Grant (by Walter B. Gibson) · n.
1 · The Death Tower [Kent Allard (The Shadow)] · Maxwell Grant (by Walter B. Gibson) · n.
1 · The Silent Seven [Kent Allard (The Shadow)] · Maxwell Grant (by Walter B. Gibson) · n.
2 · The Black Master [Kent Allard (The Shadow)] · Maxwell Grant (by Walter B. Gibson) · n.
1 · Mobsmen on the Spot [Kent Allard (The Shadow)] · Maxwell Grant (by Walter B. Gibson) · n.
1 · Hands in the Dark [Kent Allard (The Shadow)] · Maxwell Grant (by Walter B. Gibson) · n.
98 · Mr. O · Cyril Plunkett · ss; possibly No. 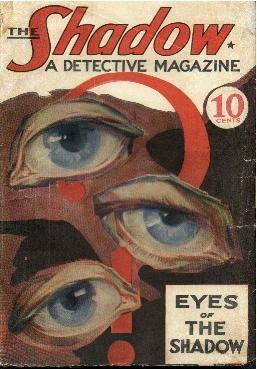 0. 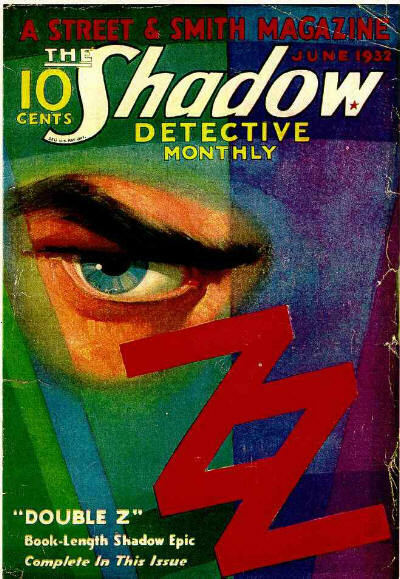 2 · Double Z [Kent Allard (The Shadow)] · Maxwell Grant (by Walter B. Gibson) · n.
1 · The Crime Cult [Kent Allard (The Shadow)] · Maxwell Grant (by Walter B. Gibson) · n.
1 · The Blackmail Ring [Kent Allard (The Shadow)] · Maxwell Grant (by Walter B. Gibson) · n.
1 · Hidden Death [Kent Allard (The Shadow)] · Maxwell Grant (by Walter B. Gibson) · n.
Title changed from The Shadow Detective Monthly. 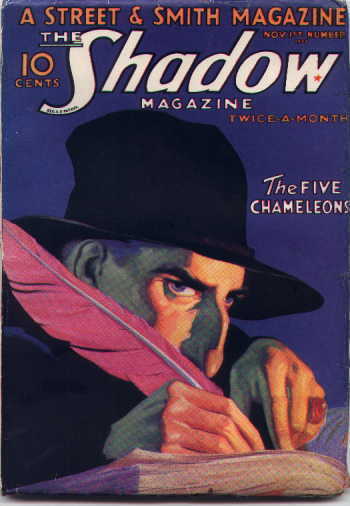 1 · Green Eyes [Kent Allard (The Shadow)] · Maxwell Grant (by Walter B. Gibson) · n.
1 · The Ghost Makers [Kent Allard (The Shadow)] · Maxwell Grant (by Walter B. Gibson) · n.
1 · The Five Chameleons [Kent Allard (The Shadow)] · Maxwell Grant (by Walter B. Gibson) · n.
1 · Dead Men Live [Kent Allard (The Shadow)] · Maxwell Grant (by Walter B. Gibson) · n.
1 · The Romanoff Jewels [Kent Allard (The Shadow)] · Maxwell Grant (by Walter B. Gibson) · n.
1 · Kings of Crime [Kent Allard (The Shadow)] · Maxwell Grant (by Walter B. Gibson) · n.
2 · Shadowed Millions [Kent Allard (The Shadow)] · Maxwell Grant (by Walter B. Gibson) · n.
1 · The Creeping Death [Kent Allard (The Shadow)] · Maxwell Grant (by Walter B. Gibson) · n.